STEALTH POCKET 400: Large capacity nutrition top tube storage bag accommodating most bikes. Features reinforced sides to maintain aerodynamic shape. 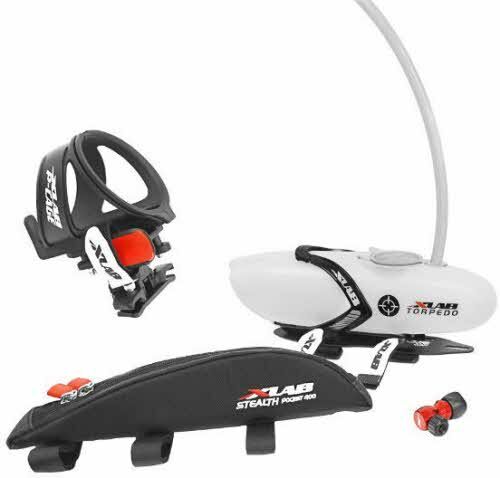 DELTA 100 SYSTEM: Single bottle, saddle-mounted hydration system featuring a 5 lb grip force cage. Fits most standard saddle rails. MULTI-STRIKE REPAIR HOLDER: Streamlined repair storage holder mounting to the DELTA 100 system. Holds clincher or tubular tire repair kits. Recommended retail price of the 5 items: €181,75. A savings of 12%! Includes essentials needed to do an Olympic distance triathlon. 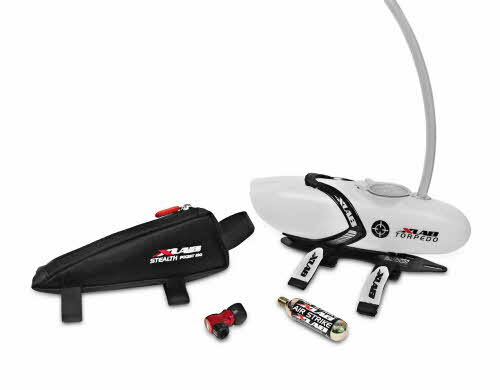 Includes the key items you need for longer training rides.